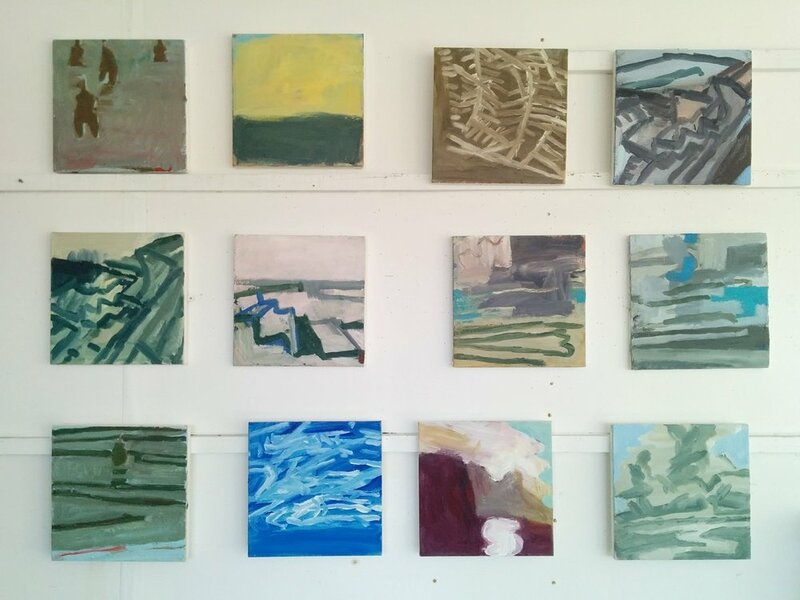 A group of 30x30cm paintings in the studio and in Messum’s. Exhibiting work is part of the process. It is good too have work out of the studio and see it with a small degree of objectivity. In the studio it is part of the whole provisional project of making, in the gallery it is made and removed from you. 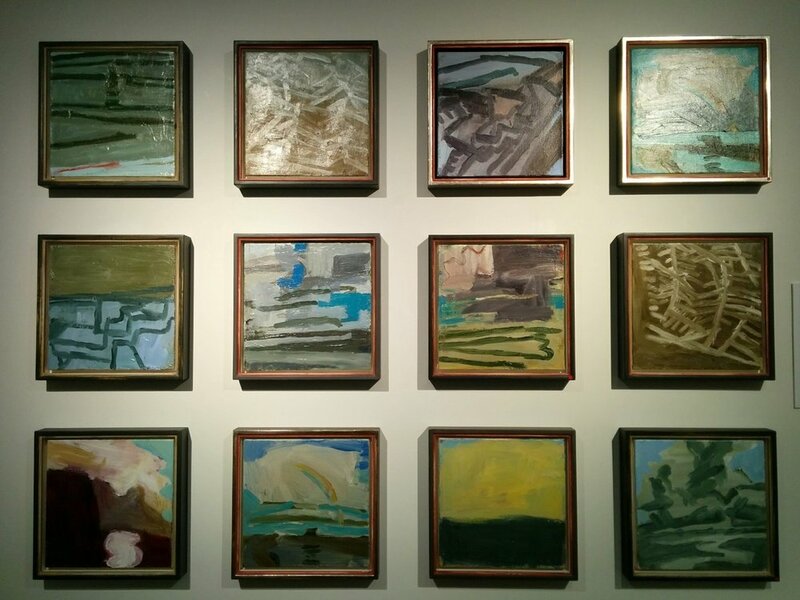 It can be disconcerting seeing the same thing presented and complete; an exhibition acts as somekind of full stop in the process and unintentionally makes it difficult just to resume where you left off in the studio. So I have been trying to enjoy these days of not knowing what I’m doing, a kind of lightness and drift that is only there occasionally. I have been walking in different places, making groups of unrelated drawings, making small paintings in pairs and hoping these unanchored moments will move things sideways and eventually forward.